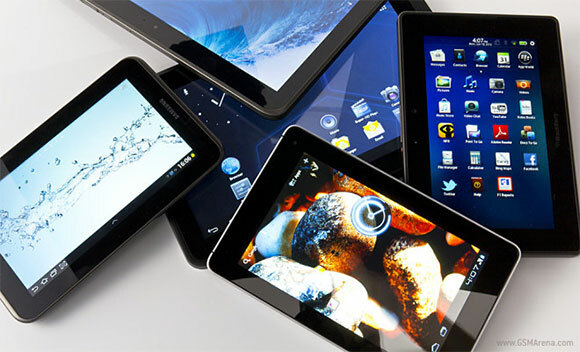 MediaTek has issued a forecast suggesting tablet shipments are going to rise in 2015, but at a much slower pace than last year. More specifically, the chip maker is anticipating a single-digit growth rate for the tablet market this year with the most positive forecast standing at 9%. According to the company's estimations, about 175 million Android tablets were shipped for the past year, while iPads number 70 million and Windows tablets reached 15 million units. The overall tablet shipments for 2014 reached 260 million units. In 2013, this number was 217.1 million, as per IDC's data. The reason for the slowdown is the increasing popularity of smartphones with large screens. They've enjoyed growing user adoption over the last few months and this is hurting the tablet market. So much so, that the growth in iPad shipments slowed down in 2014, but interestingly Windows tablets market a slight increase. Gaming, education and enterprise markets will keep the tablet market afloat in 2015, MediaTek predicts. Demand for replacing old units is also going to be responsible for the low, but nevertheless positive growth. You are wrong. Your htc will not run native flash or read .exe files. Any droid or ios powered device cannot compare to windows 8.1 (not RT). Windows is windows.